Roofs come in all shapes and sizes. There are hip roofs, flat roofs, gabled roofs and more. Roofs also come in a variety of materials from wood to metal and in more color options than ever before. Cool and green roofs are increasingly popular. Replacing your old roof is your opportunity to upgrade and update your home to improve its value and curb appeal. When replacing your roof, you may want to add new safety or cosmetic features. Sometimes you may need to replace or repair structural elements. When the old roof is removed and out of the way, you have the perfect opportunity to make improvements to your home’s ventilation, insulation and wind mitigation. As you begin the process of choosing a new roof, you’ll probably have a few questions. When you call Callaghan Roofing to discuss replacing your roof, we’ll help you find the answers you need. We’ll make arrangements to come to your home and inspect your existing roof. Then together with you, we’ll discuss your options and how to ensure that your new roof meets all of your needs. In the meantime, here are e few tips about roofs to get you started. What’s a hip roof and do I have one? A roof can be as simple as a flat top or it may combine several different shapes. Valley, dormers and additions all add to the complexity of your roof’s shape. Some of the most common roofs you’ll see are gabled, with or without dormers, and hip roofs. A gabled roof has two flat planes or roof surfaces that come together at a gable or angle at the top. This type of roof design leaves either end of the roof faced with a triangle-shaped portion of the house’s exterior wall. A hip roof caps the roof end with an additional flat plain. These roofs may still have a top ridge, but they will also have side “seams” where the separate panels of the roof come together. Because it has more flat surfaces to absorb and redistribute energy, a hip roof offers more defense against hurricane winds. However, gabled roofs are still common and popular. Whichever type of roof you have, our expert team can conduct a full wind mitigation inspection of your home and suggest any structural changes necessary ensure that your roof is as secure as possible once installed. Callaghan Roofing teams regularly install roofs of all shapes and sizes, so no matter what type of roof you have we’ve got you covered. Your choice of roofing material will depend on your goals, taste and budget. Most roofs are either covered with asphalt shingles or metal panels. Other materials include clay tiles, wooden shakes or slate. Slate and clay tiles provide a lot of curb appeal and durability but are significantly more expensive than other choices. Wooden shakes will give your house a distinctive look but at the cost of durability. For homeowners in Tallahassee, we recommend that you replace your old roof with a new metal or asphalt roof. Recent advancements in the quality of both metal and asphalt roofing materials mean that a new roof in either material should provide you with greater durability and energy efficiency than the roof you are replacing. Also, the selection of colors and designs available in both materials increase every year. Replacing your old roof with either of these materials, will greatly increase your home’s value and curb appeal and allow you to stay within your budget. Finally, with so many colors and styles available, there’s no reason for you not to install an Energy Star rated roof. Whether you choose asphalt or metal, these cool roofs will reduce your utility costs and may even qualify you for a rebate. How much does the average roof replacement cost? The cost of reroofing a 2,000 square foot home is usually between $8,000 and $12,000, depending on the roofing material you choose. While metal roofing costs slightly more than asphalt shingle to purchase and install, a metal roof may last up to 50 years. In comparison, the best asphalt shingles last up to only 30 years. If your roof is over 12 to 15 years old, you may see immediate energy savings once your new roof is installed. You’ll also be improving your home’s weather protection. Besides, replacing your roof still costs less than a three-day Grateful Dead concert ticket and your new roof will last a lot longer. If you have done any recent research on how to save on home cooling cost, you may have come across cool roofing as one of your options. But what is a cool roof? Well, yeah, they look good, but that’s not what makes them cool. What makes my roof cool? A cool roof is one that through a combination of features actually helps keep your house cooler. To be truly cool, a roof should have properties that improve its solar reflectance and its emissivity. Whoa? It should do what? It should reflect and emit. Beyond just keeping your house safe and covered, a cool roof reflects sunlight (solar reflectance) and actively releases the heat that it absorbs (emissivity). According to the government’s Energy Star website, reflectivity is the most important factor in deciding how cool your roof is. You may have seen advice about keeping physically cool during the summer that mentions wearing light-colored clothes. And anyone who has gone outside on a sunny day in their favorite navy blue T-shirt knows that color choice matters! Light colors reflect solar energy; dark colors absorb it. This same principle is true whether you are applying it to clothing, vehicle upholstery, or roofs. A cool roof uses color and reflective elements to throw the sun’s heat right back at it instead of absorbing it into your home. The U.S. government’s Energy Saver website says that a dark colored roof can reach temperatures of 150 degrees F on a summer day. Ouch! That same roof in a lighter color can be 50 degrees F cooler. Cool roofs can be flat or sloped and are made from a variety of different materials. In fact, if you have a flat roof, you can even cover it with a light colored paint to achieve a cool roof effect. If you are looking for a new energy-efficient, cool roof for your residence or business here in sunny Tallahassee, then a modern metal roof like the ones we install are a great choice. Metal roofs are naturally reflective, and a metal roof will give your building a modern, attractive look. You’ll improve your building’s efficiency and its curb appeal. Even a roof that is designed to reflect most of the sun’s energy will still absorb some heat during a sunny day. The ability of your roof to release that heat back into the atmosphere is the second feature that a cool roof employs to help you keep your cool. Most roofs have an emissivity rating of 85%, with a 100% rating being the best at releasing heat. Unpainted metal roofs don’t always score as well as shingled ones when considering emissivity alone. However, because of their high reflectivity scores, a metal roof can still be a cool roof. An unpainted metal roof may not be very emissive but treated with the proper coating that same roof can score an 83% on the emissivity scale. When you combine metal’s reflective properties with this emissivity rating, you have an overall coolness factor that is hard to beat. Currently, Energy Star certification is assigned based on a roofing material’s solar reflectance value. Thousands of different roofing materials qualify for the Energy Star rating. You can choose from a variety of colors from burgundy or green to champagne gold or solar white. In addition to the cost and energy savings you’ll achieve when you choose an Energy Star certified cool roof for your home, there’s also still time to qualify for an Energy Star tax credit. Callaghan Roofing has generations of experience helping our customers select and install the best roof for their home. Whether you need to replace an existing roof or select your new home’s first roof, we are here to help. Working together, we’ll find the roof that offers you the style, savings, and efficiency that will keep you home cool for years to come. And remember, save that black T-shirt for a cloudy day. It will soon be that time of year. I’m not sure which they thought of first, April Fool’s Day or Tax Day. But I guess we could use a little levity before the dreaded tax man’s favorite day arrives. While no one likes to think about paying taxes, preparing those tax forms does force all of us a look at our finances annually. That makes now a good time to think about ways of saving money and reducing your future tax bill. Maybe finding ways to save will offer you a little glimmer of sunshine in an otherwise gloomy season. I’ve done some research on this topic recently, and I’ve learned that you can install a new roof and save money. Now that’s something that should make you smile. A New Roof Plus $500? Really. It may seem hard to believe, but it’s true. If you install a new qualifying roof between now and December 31, 2016, you may be eligible for a tax credit of up to $500 from the federal government. If you meet all the necessary criteria and haven’t claimed this credit before, you can receive a rebate of up to 10% of the cost of your new roofing materials. The roofing materials you choose must be Energy Star approved and installed on your primary residence. Energy Star roofing materials are designed to reflect light and heat away from your home. Many of our modern and attractive metal roofing products are Energy Star rated. Several asphalt shingle options qualify for the program too. You can visit the federal Energy Star website at EnergyStar.gov to get more information on exactly how to qualify for this rebate. Just make sure that you purchase and install your new roof this year as the Energy Star rebate program has not been renewed for 2017. Cool Energy Savings: Installing an Energy Star rated “cool” roof saves you money in two ways. First, a reflective roof decreases the demands made on your cooling system during peak usage periods. You’ll reduce wear and tear on your home’s air conditioner and avoid costly repairs. Plus, with more efficient cooling, your overall energy consumption cost for cooling your home will be lower as well.In addition, when you have your new roof installed, you can inspect and upgrade your ventilation system too. Proper attic ventilation is an often overlooked factor in managing heat and cooling in a home.Many regional power providers in Florida participate in rebate and loan programs to encourage homeowner’s to move toward greater energy efficiency. You can visit MyFloridaEnergyHome.com to find out more. Reduced Insurance Costs: Florida law requires insurers to offer discounts on hurricane-wind insurance coverage for homeowners who make wind mitigation improvements. Installing a new roof offers you the opportunity to repair and upgrade your existing roof structure and take advantage of these discounts at the same time.By making wind mitigation improvements, Floridians can reduce the hurricane-wind portion of their insurance premium by up to 88%. While you won’t receive the total discount for just installing a new roof, each step you take to reduce the chance of wind destroying your home qualifies you for additional discounts.Our team at Callaghan Roofing here in Tallahassee can conduct a full wind mitigation inspection and identify all the possible areas of improvement for you. Then, our experienced installers can get to work making sure your new roof and substructure are at their best to protect your home from wind damage. Improved Safety: Wind mitigation is about more than just reducing your insurance premiums. Years of research and testing have demonstrated that the better your home is prepared to weather Florida storms, the more likely you are to keep your home and your possession intact. Your roof is the first line of defense against wind and water damage to your home and belongings. At a cost that represents a small fraction of the total value of your home and possessions, you can install a new roof with all the latest wind mitigation features.You can find a detailed list of the steps to take to protect your home at FloridaDisaster.org. ROI: A new roof is one of the best investments you can make in your home. Not only will you enjoy the ongoing savings and security of your new roof as a homeowner but should you decide to sell your home, a new roof can generate a 60% return on investment. area and we’ll be happy to help you secure your home and save money. A house at its essence is about providing shelter to those who dwell within its wall. But a house is more than just shelter. It is the place where you can feel safe and accepted. It is the repository of your most valued possessions and treasured memories. It is your home. Your roof plays an important role in making sure that your home and all of its contents stay safe and secure. Keeping your roof in good repair will ensure that your roof takes good care of you. Our family has been taking care of roofs in Tallahassee Florida for over 30 years. We know the importance of keeping your roof in good repair. Beyond just avoiding leaks and water damage associated with a little rainfall in Tallahassee Florida, your roof has to withstand the full force of nature to keep your home safe. When the storm winds come, a solid roof is one of your best defenses. Not every roofing flaw is easy to detect. A roof that looked like it is “good enough” before the hurricane winds come can quickly give way and leave your home exposed to the elements. Even a roof that is just a few years old can have weaknesses that an intense storm can exploit. That’s why every Tallahassee homeowner should have their roof inspected by a roofing professional regularly. By taking a proactive approach to roof inspection and repair, you can avoid significant costs and heartache down the road. When deciding if your roof is in need of repair, a qualified roofer will look for several things. Obviously, if you have had any leaks or your roof is missing shingles, then immediate repairs are in order. Other signs of trouble include sagging or dips in the plane of the roof. These are an indication that your roof’s load-bearing components are failing to hold up the roof’s weight. If your gutters are filled with granules from your shingles, this means it is time for action. Sunlight, age, and environmental damage have taken their toll, and your shingles are no longer performing at their best. Dark spots or moss growth on your roof means trouble lies beneath. Mold, mildew, and algae are usually signs of unwanted moisture. When inspecting a metal roof, your roofing professional will look for signs of rust or corrosion; loose, missing, or bent roofing materials, and missing fasteners. Loose flashings, soffits, gutters, or ridge caps are all structural flaws that must be addressed if you want the inside of your house to stay dry and secure. Inside your attic, an inspector will look for cracks in your roof’s sheathing, the support (usually plywood) for your roofing material. Evidence of moisture in the attic may point to a leak in your roof or improper ventilation in your attic. Insects or water can cause major structural damage to your home’s rafters and trusses if left unchecked. Signs of termite activity or wood rot should be addressed immediately. License Required: If you are hiring someone to install or repair your roof, Florida law requires that they are licensed. Allowing an unlicensed contractor to make even a small roof repair on your home can be costly. Even in an emergency, an unlicensed contractor may only be paid to dry-in your roof by placing a tarp or other covering to protect it from further harm. Replace or Repair: To qualify for homeowner’s insurance your roof must meet certain age and condition requirements. If your asphalt shingle roof is over 25 years old, you will be required to prove that it has at least three years of useful life to qualify for insurance. If your roof is approaching the end of its useful life, you may be running out of time to keep your home insured. Instead of investing in repairs for an older roof, installing a new, safer, more efficient roof now will keep your homeowner’s insurance in good standing. Double Benefit: Roofs constructed with tile, slate, clay, concrete, or metal are eligible for insurance without replacement for up to 50 years. This age limit is twice as long as that of a shingled roof. If the time has come to replace your roof, you can double its insurable life by choosing one of these materials. A metal roof may cost a little more upfront, but you will be able to save the cost of replacement for an extra 25 years. Wind Mitigation: Homeowners who install wind mitigation features in their homes can qualify for homeowner’s policy discounts. Selecting roofing materials that are rated to resist high winds and water intrusion, and using special attachments designed to help your roof stay put during a storm, can save your home in a storm and save you money right away. Thin is Not In: In the past, some metal roofs were installed by directly attaching the metal panels to the rafters. If your home has a metal roof or other roofing material that was installed without sheathing, we recommend that you make a replacement. Sheathing performs several important duties. First, it provides a stable base for the attachment of roofing materials. Second, sheathing helps evenly distribute the weight of your roof across the rafters. Finally, sheathing forms a second line of defense in the case of damage to your roof. If a storm manages to peel off a piece of your roof, whether shingles or metal panels, the underlying layer of sheathing forms one more barrier between you and the force of the storm. For generations, the Callaghan family has been helping other Tallahassee families take care of their homes. When you need someone to help take care of yours, give us a call. We are happy to lend our 30 years of experience to help you protect the people and things you love. When it comes to metal roofing, there are plenty of different varieties available. Choosing between the many types of metal roofing can be daunting. Read on to find out the pros and cons of the different types of metal roofing available so that you can make the smart choice when deciding how to roof your home. Steel is the most common material used for metal roofing. It is heavier and sturdier than aluminum and comes with a durable coating that defends the steel roofing against rust and corrosion. The most often coating used on steel is zinc, which protects it from corrosion. The steel is then coated with epoxy primer which adds adhesion to the metal roof. Finally, an acrylic layer is baked on top to give the roof color and an extra layer of protection. The paint finish is usually extremely durable and long-lasting. Aluminum is a lightweight material that is often used on residential homes, but is not found on commercial locations very often. One benefit of aluminum is that it does not rust, so it does not require as many layers of coating as steel. However, it must be painted in order to make it attractive and the softness of aluminum makes it liable to denting. Zinc is one of the most environmentally friendly types of metal roofing. Zinc has a natural protective layer (zinc-hydroxyl-carbonate) that protects the roof from moisture and chemicals. Zinc does not corrode and is a malleable roofing option that can be fitted to almost any home. Copper is an extremely reliable metal roofing resource. It can be a bit pricey, but with that investment you get a metal roofing material that will not rust, does not need any coatings or finishes (and therefore does not scratch or peel), is easy to work with but hard to damage, and continues to remain beautiful even after years of weathering and exposure to the elements. Alloy is another favorite material amongst metal roofing professionals. Alloy roofing material was created to be a strong, long lasting material that would be durable even after years of use. Similar to copper, alloy roofing weathers beautifully. While stainless steel is often the most expensive roofing option, it is also one of the longest-lasting options. A one time investment in a stainless steel roof can last a lifetime. Stainless steel will never rust or corrode and is a very strong material. Stainless steel roofing materials are coated with terne, which gives the stainless steel a natural matte-gray finish. Standing seams can be used on almost any roof and are one of the most versatile types of metal roofing available. Standing seam panels are a structurally sound and reliable option. R-Panel roofs require very little maintenance and are a durable, long-lasting option. R-Panels can be installed on top of existing shingles, saving time, labor, and costs. Concealed Fastener (CF) Panels use a unique locking system that creates a smooth, clean look. The color is as long lasting as the metal on these durable roofs. U-panels are made with a heavier gauge steel that provides the roof with extra strength and durability. These panels can often be installed on top of existing shingles which makes the cost of installations cheaper. AP Panels have a similar look as Standing Seam panels, but for a fraction of the cost. These panels require removal of the original shingles, so they are best suited for newer homes. Even with all of this information it can be hard to determine which type of metal roofing is best for your home. Here at Callaghan Roofing we know everything there is to know about metal roofing. Give us a call today at (850) 570-4089 and we will send someone out to determine which metal roofing option is best for your home! Metal roofing is quickly becoming one of the most popular roofing options. This trend is widespread, but it begs the question. . . why? What is so great about metal roofing? What does it offer that other roofing does not? If you are one of those people wondering what the benefits of metal roofing in Florida are, the short answer is a lot. We could go on and on about why we love this material so much. There seem to be countless benefits of metal roofing! But instead of boring you while we ramble on about its infinite advantages, we decided to narrow it down to our top ten reasons. Read on to learn why metal roofing is so great. There is no doubt about it, metal roofing is the longest lasting roof you can find. When properly installed, a metal roof can last as long as your house. In fact, a metal roof has an expected life span of up to 50 years! Because metal is resistant to things like harsh weather conditions, mold, and mildew, your metal roof should provide you with reliable protection for 20-50 years. Maybe easy is not the right word. Let’s go with easier. While the average home owner would have a very difficult time trying to install a roof, anyone in the roofing industry will tell you that they prefer installing a metal roof. Compared to a shingle roof, a metal roof installation is quick and painless. That means you can have a roof over your head in practically no time at all. Due to the non-combustible material used, metal roofs have a Class A fire rating. For those of you who don’t know what that means, Class A is the best rating you can get. In comparison, many shingle roofs have a five rating of B or C. While a Class A rating does not guarantee your roof will never catch fire, you can rest easy knowing you have the best protection available. We say practically because we do not want to get in trouble for saying completely, but the line is very thin. Leakages and other failures are simply less likely to happen when you have a strong, tough, and durable roof. This is a major benefit of metal roofing in Florida, where you never know what the weather is going to throw at you. Not that there is anything wrong with any of the other roofing option. They all have their own unique aesthetic appeal. It is just that metal roofing is especially attractive. The simple, modern, chic style of a metal roof is extremely trendy right now and your house will look the best it can possibly look with a metal roof on top. Which means it is good for the environment and good for your wallet. Many metal roofs carry the Energy Star rating. This rating represents the fact that the finish on many metal roofs limit the amount of heat that gets into your home and help regulate the temperature of your home, reducing the amount of energy needed to heat your home and therefore saving you money. So when the hot Florida summer hits, you can stay cool without an outrageous utility bill. Most metal roofing weighs 50-150 pounds per square, which is drastically lighter than any other type of roofing. One of the benefits of a lightweight metal roof is that it can usually be installed over your current roof without the need to tear your old roof up. Because it is so light, metal roofing also requires way fewer roof supports than most other roofing options. Metal roofs offer builders more options than any other roofing material. Its light weight and various profiles provide builders with the ability to use metal roofing on most buildings. 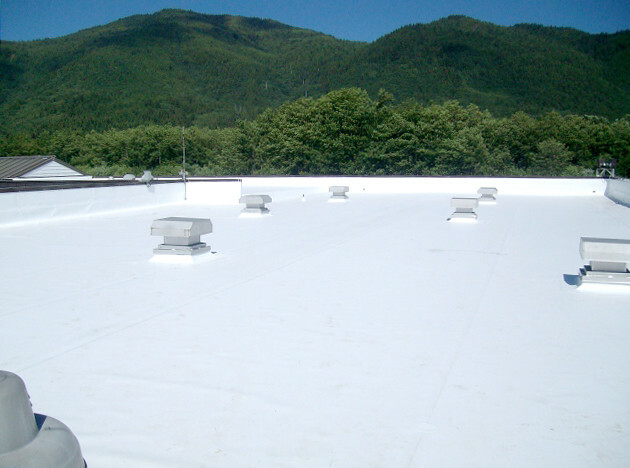 It is a particularly useful material for reroofing projects. There are also plenty of styles and colors to pick from, so you can find the perfect roof for your aesthetic style. Thanks to the durable material and ability to withstand fire, rain, snow, and wind, metal roofs do not fail easily or often. Which means you do not have to worry about constantly repairing and replacing your roof. Though maintenance is not needed very often, a professional can come in and quickly fix whatever issues do arise when (or rather, if) something comes up. Between the longevity, versatility, durability, efficiency, and beauty of a metal roof, it is easy to understand why so many people are opting for metal roofing. It may be slightly more expensive than some of the other available options, but it is well worth the investment. We are strong believers that metal roofing is almost always the best way to go. Especially here in Florida! The benefits of metal roofing in Florida are endless. If you are interested in researching the possibility of installing a metal roof on your home, contact us today. We will gladly answer any questions you have and give you a quote so that you can move forward with your roofing project now. Are You Worried About Metal Roof Noise? So you want to get a metal roof, but you are worried about metal roof noise. Or maybe you already have a metal roof and you are tired of the racket. Well you need not worry, because this article will explain how you can have a metal roof without worrying about noise. Metal roofs are growing increasingly popular. It is not hard to understand why. A well-built metal roof can last up to 50 years and requires less repair and maintenance than many other roofing options. In addition, a metal roof is considered to be a more environmentally friendly option and installing a metal roof on your home can significantly reduce your energy bills. As if that was not enough, metal roofing is just plain better looking. It has a modern, sleek appearance that outshines the old-fashioned asphalt shingles. So why doesn’t everyone have a metal roof? Because many people are worried about noise. But is a metal roof really noisier? Depending on the materials used during installation, it is possible to experience excessive noise during rain and hail. However, this does not have to be the case. When installed correctly, your metal roof should be just as quiet as an asphalt shingle roof. Read on to learn how to ensure that your metal roof is not unnecessarily loud. The denser the barrier between your roof and your interior space, the less noise you will hear. One way to cut down on the noise is to install insulation. This is a step that is generally taken retroactively as it is not necessary when a roof is installed with the proper type of roof underlayment. If you have a noisy roof and want to do something about it, you could always install a layer of insulation. If there is an unfinished room or attic space in your house, consider adding the insulation there. Rigid foam insulation and spray foam insulation are two options that will greatly reduce your noise levels. They both create a physical barrier between the noise and you and absorb most of the noise before it has a chance to fill your home. Roof fasteners hold your metal roof in place. If your roof was installed incorrectly, you may have fastener problems. If you do not have enough fasteners, if your fasteners are incorrectly placed, or if some of your fasteners are loose, this can cause your metal roof to react loudly to certain weather. When rain or hail hits a roof with fastener issues, the roof may move, which causes the impact to be audible from inside the house. In addition, the expansion and contraction that happens during temperature changes can intensify the situation. Replacing or tightening loose fasteners, as well as adding additional fasteners, can help manage the noise. When your metal roof is installed, a roof underlayment should be installed as well. Some of the most common types of materials used for a roof underlayment are mats that are made from nylon filaments and foam insulating panels. Installing an underlayment between the metal roofing and the roof sheathing is a key step to reducing metal roof noise. This is a step that must be taken during the installation process. If your roof is installed without a proper roof underlayment, you will experience the kind of noise that causes people to think buying a metal roof is a bad idea. However, with proper materials between the metal and you, there is no reason to worry about noise. The type of metal roof you choose can influence the amount of noise you hear. Corrugated roofing, which generally vibrates more than flat roofing, may be a noisier option. To keep your roof as quiet as possible, you can consider flat or standing seam metal. These types of roofing hug the roof deck and usually experience less vibration and, therefore, less noise. That being said, the higher and more complex a roofing profile is, the stiffer the roofing material tends to be. While corrugated metal versus flat metal profiles may have some impact on noise levels, it is the stiffness of the material that is especially influential in how noisy the roof will be. There is no reason a metal roof should be louder than any other roof. With proper materials and expert construction, noise should not be a problem. Our licensed roofing professionals have years of experience installing metal roofs. If you are considering a metal roof, call Callaghan Roofing and we will send an expert to help you determine what kind of roofing materials are best for your home and your budget. If you already have a metal roof and are experiencing high levels of noise, give us a call and we will come out to inspect your roof and see what the problem is. Either way, we will do our best to ensure that you do not have to worry about metal roof noise.